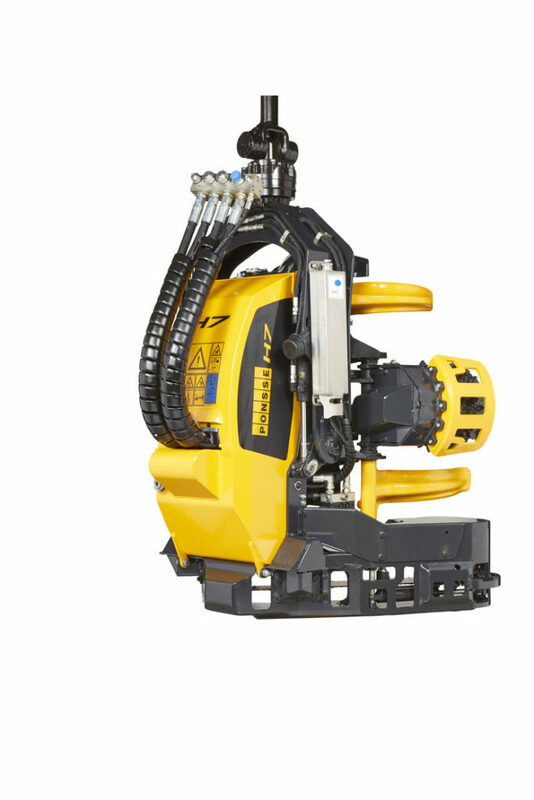 The PONSSE H7 is a supremely compact, robust and powerful harvester head for demanding work at final felling sites. The small outer dimensions, powerful feed and excellent power-to-weight ratio guarantee productivity in both softwood and hardwood harvesting. Accurate automatic control ensures good cutting precision and the wood is always fed at maximum speed to the right length. The controlled feed acceleration and deceleration also reduce feed damage and pressure peaks, and increase the machine’s efficiency. The grip pressure of the delimbing knives and feed rollers adjusts freely according to the trunk’s size, and the feed rollers support the wood from below. This ensures minimal friction and a solid grip on the wood during feeding. The PONSSE H7 also has excellent sawing efficiency. The easy-to-use automatic features control the saw motion according to the tree diameter, and guarantee fast cutting. While the features increase sawing efficiency, they also increase the service life of the saw blade and the chain. 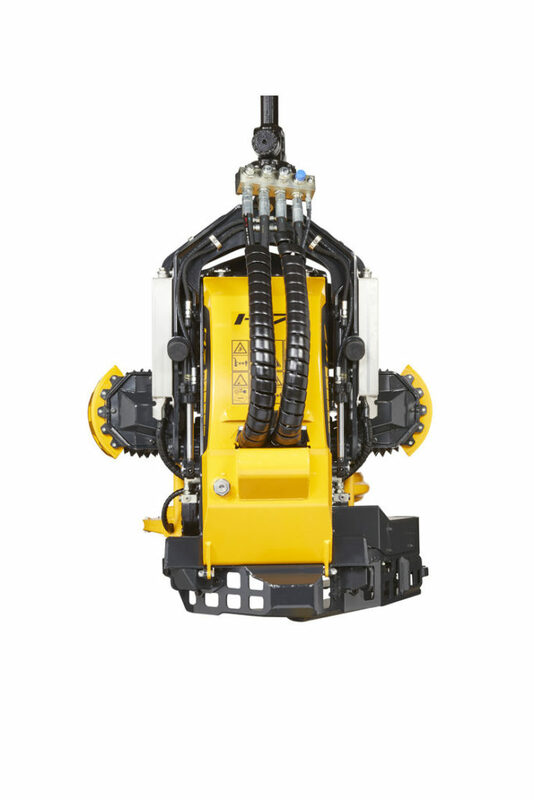 The strong and smooth tilt motion speeds up work while reducing the stress placed on the harvester head. 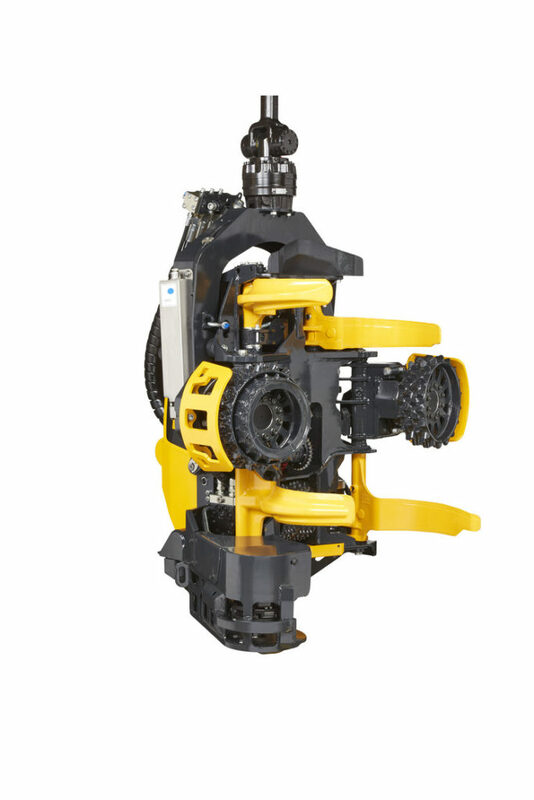 The H7 harvester head is also very well suited for multistemming. The geometry of the rollers and delimbing knives is also ample enough to allow for the collection and bucking of larger trunks, meaning that the H7 harvester head is capable of multi-stemming log-size trunks. Plenty of optional equipment is available in addition to the comprehensive PONSSE H7 standard equipment. Consult your nearest Ponsse Service Center or dealer for more information on the standard and optional equipment.